Corey Grech is on a mission to make kangaroo pies more popular than the beef mince variety found at football games and tuck shops around the country. "Kangaroo is an abundant source of wild meat that's also delicious and we should be eating more of it," said Mr Grech, a Gamillarroy man from Coonabarabran and owner of Sydney-based food truck Meat Brothers. "Cattle yards are struggling because of drought conditions and beef prices are going through the roof. Meanwhile, kangaroos are labelled as pests and farmers are shooting them but not using the meat. It doesn't make any sense." 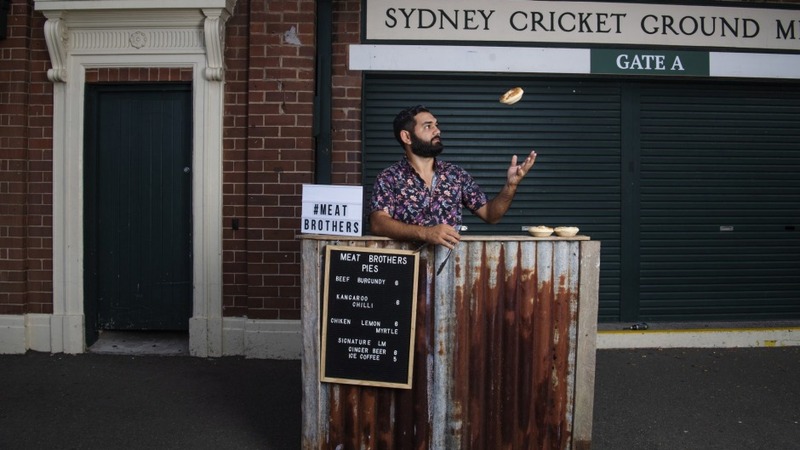 Mr Grech has been selling $6 kangaroo chilli pies at farmers' markets and Indigenous rugby league games in NSW since launching in Meat Brothers in July. The food truck is confirmed for Byron Bay Bluesfest in April and Mr Grech is in discussions with the Sydney Swans about a regular stand outside the Sydney Cricket Ground during home games. "I've noticed people have become a lot more willing to eat kangaroo in the last few years," said Mr Grech, who quit scaffolding in 2007 to cook at his sister's bush food cafe in Redfern, the Purple Goanna. "We used to have Vietnamese-style rolls with marinated kangaroo on the menu but no one ever ordered them. People didn't want to eat a national emblem. They didn't want to eat Skippy." The kangaroo meat industry was created in the 1970s to control an overpopulation of kangaroos resulting from pastoralisation. "When white man colonised Australia he sowed grains and built dams - thus feeding and watering kangaroos, and leading them to explode in numbers," said Ray Borda, managing director of Macro Meats, a South Australian company controlling the world's largest retail distribution of wild kangaroo meat. Kangaroos have long been viewed as a pest in farming areas and a swollen population can damage native habitats. "We work closely with the RSPCA and state governments and the preferred way to keep the population of kangaroos under control is with a professional industry," said Borda. 180,000 kilograms of kangaroo meat was sold for human consumption per week in 2018 - 63 per cent more than 2008 (113,500 kilograms per week). "I think the increase in consumption is due to people becoming better educated about the sustainability of kangaroo meat, coupled with the popularity of high-protein diets such as paleo and 'keto'," said Mr Grech. "Kangaroo is a very lean, healthy meat." 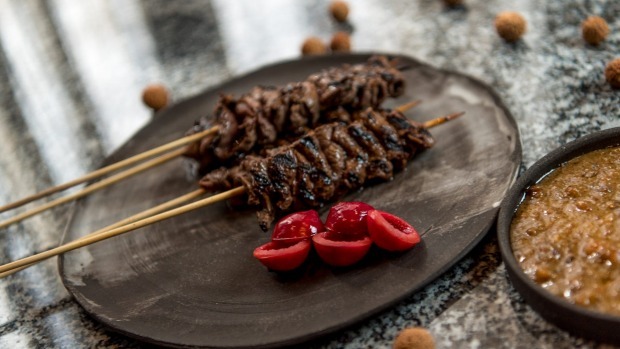 Mr Borda aims to educate consumers that, much like chicken or beef, not all kangaroo meat has the same taste and texture. "If you compare a 15-year-old grey buck from a drought-stricken area to a three-year-old red with permanent water and feed, the difference in taste is enormous," he said. Mr Borda supplies premium dry-aged kangaroo to Australia's best restaurants through the Paroo Kangaroo brand. "We found the best 'roos in Australia were from a region extending from the south of Queensland through to north-west NSW and parts of South Australia." Meanwhile, Macro Meats' K-Roo branded products can be found in Australia's major supermarket chains. "It's still good meat but top-end chefs don't want to be selling a supermarket product in their restaurants and we respect that," said Mr Borda. "The general public don't want to pay more for graded and aged kangaroo in stores just yet, either." Mr Borda said his "end game" is to increase the value of kangaroo meat and include landowners in the supply chain. "Currently, landowners can obtain a non-commercial permit to shoot kangaroo and leave them on the ground. That's a waste. The Indigenous belief is that no animal should be taken or killed unless it's going to be consumed, and I agree with them." Mr Grech said he plans to put 10 per cent of Meat Brothers' net profit "back into the places that are doing the shooting". "I can't see how the current system of livestock production in Australia is sustainable. I think it will be necessity that drives the push for kangaroo meat."